Are Google's Local Barcode Stickers Their Backdoor Check-Ins? A couple weeks ago, Google sent out 190,000 2D barcode stickers to the most popular local businesses around the country who had set up a Place Page on Google Maps. When people who are walking by a store or restaurant see one of these stickers they can pull out any phone with a special barcode reader and open up that store’s mobile Place Page, which is Google’s local directory. 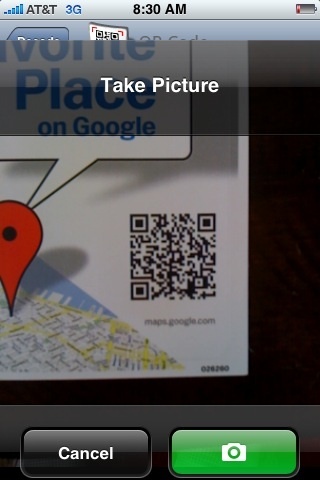 Local businesses can link promotions to their Place Page, so the 2D barcode (or QR code) can act as mobile coupon. But it could also become something else: a backdoor way—or, more accurately, a front window way—for Google to get people to “check-in” at different locations. The “check-in” is growing social habit among the early adopter crowd starting to use geo-social apps such as Foursquare, Gowalla, and Loopt. When you want to broadcast your location to your friends, you check in. People check into places for social reasons, but on the backend Foursquare and the others are giving local businesses in your vicinity the ability to offer you coupons and promotions whenever you interact with their mobile apps. The day after the Google QR codes first went out, I ran into Howard Lerman, the CEO of Yext, who knows a thing or two about local advertising (Yext sells pay-per-call ads for local businesses). Those barcodes, he said, could be used as a clever way to get people to check-in and they could also serve up ads. Instead of getting paid on a pay-per-click basis, maybe Google could figure out a way to get paid on a pay-per-visit basis, with each QR code check-in counting as a visit. Already, even simple geo-targeted coupons are “working really well,” says Loopt CEO Sam Altman, who is getting $25 CPMs and up for them, and that is just on a per-thousand-impressions basis. He also isn’t too worried about Google’s QR code sticker sneak attack. “The QR thing was odd given no one I know uses them yet,” he says, echoing Crowley’s sentiment. “From what we’ve seen, they care more about local search than Latitude, and I think this is more in the local search direction.” And Latitude doesn’t use the check-in model. Once you turn it on, you constantly broadcast your location to your friends. But adding an explicit check-in feature would be trivial, whether it’s by swiping a QR code or simply checking a location on your mobile phone. Next time you check in, remember you are not only telling your friends where you are, you are also telling advertisers.